Las Vegas is one of the few places on earth where people enjoy the experience of losing money. Naturally, they enjoy winning much more. But gambling (the industry prefers the term gaming) is prime entertainment. It's important to know when to quit in the casino, but it's also important to have a travel guide to the city that helps visitors steer clear of expensive mistakes. There isn't really an off-season in Las Vegas, but some people try to avoid the blistering desert heat common from May until September. You're also wise to avoid holidays and spring break. One of the busiest annual events is NCAA Basketball's Final Four weekend. Major sporting events or huge conventions can drive prices much higher than a normal period. If you don't particularly care about these events, it's best to search out times that are less busy and hunt for hotel and transportation bargains. It's usually easy to find flight deals for Vegas, and this is one of those markets where shopping often pays handsome dividends. Prices here are competitive. If you can modify your arrival and departure dates by a day or two, the resulting savings can sometimes offset the inconvenience of doing so. Las Vegas is known for its vast selection of buffets. As with most traditions here, the buffet is linked to casino traffic. Hotels created buffets to keep players from leaving the property. Since buffet service usually is faster than the service from wait staff, players got back to the casino more quickly. Although some buffets are designed more for speed of service than excellence of cuisine, don't operate on that general premise. There are some wonderful buffets you'll want to savor. If you're here on a special occasion, don't overlook scores of other dining opportunities. Check out your Las Vegas food options. Start your Las Vegas hotel search with a look at a variety of money-saving hotel options. Interested in an upscale experience without spending a fortune? Check out tips to find a four-star for $175 or less. A recent search on Airbnb.com revealed about 100 properties available at $50/night or less. Keep in mind that any savings you encounter will be offset by the need for transportation. Residential Las Vegas is extensive, and distances from the main attractions can create the need to spend more time and money than you wish. Those who think Las Vegas is too expensive are often quite surprised to find a variety of transportation choices. Lyft and Uber were a long time in the approval process here, but they are now available. The Deuce is a bus system run through the Regional Transit Authority, with service along The Strip and up to downtown Las Vegas and Fremont Street. Las Vegas is the world capital of gambling, and many travelers leave here considerably lighter in the pocketbook than when they arrived. Check out some thoughts about Vegas Casinos. Some budget travelers need a break from the Las Vegas scene, but they don't want to spend money on an expensive resort or spa. Fortunately, there are a number of wonderful and reasonably priced attractions beyond the city limits of Las Vegas that will make your trip memorable. Did you know one of Vegas' best shows is performed absolutely free every 15 minutes? Are you aware of the attractions within a short drive of the city? 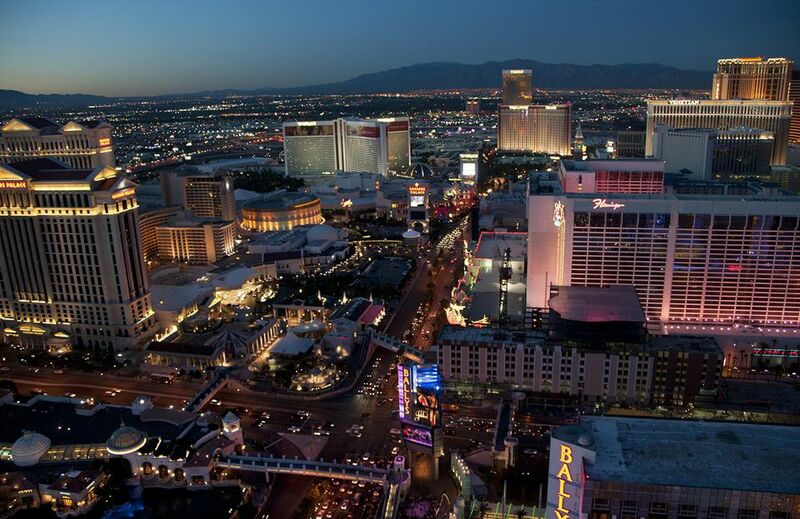 These are money-saving questions for which you need answers prior to your visit to Las Vegas. It's best to avoid common Las Vegas travel mistakes.